Floppets are a collectable craze that's sweeping the globe. These cute little characters are both wearable and connectable. 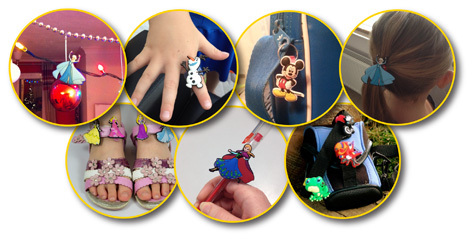 With their unique and versatile velcro strap they can be attached to shoes, pens, fingers, scooters, bikes, flip flops or almost any item of clothing. They can even be fastened onto themselves! Featuring characters from all the hot licences, kids can collect all their favourites and even swap with their friends. 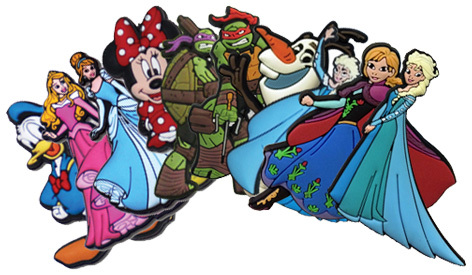 Check out the Floppets versions of Disney's Frozen characters, Teenage Mutant Ninja Turtles, Mickey Mouse and Friends, Disney Princess and Spongebob Squarepants.